The showbiz industry witnessed the amalgamation between technology and fashion at the fourth edition of Tech Fashion Tour Season Four held at JW Marriott Hotel, Mumbai. Technology has always left us amazed with its new innovations and fashion industry is not alien to it, tech addiction and love for fashion is something we all follow on a daily basis and it has become an integral part of our lives. Tech Fashion Tour celebrated the amalgamation between technology and fashion where Tech and Fashion – came together to unleash new innovations and create never-failing magic. Bollywood Actor Akshay Kumar was seen walking the ramp in creation of ace designer Lalit Dalmia at the fourth edition of Tech Fashion Tour. The blend of two massive yet starkly different worldly elements – Technology and Fashion showcased new launches from the world of fashion and technology. 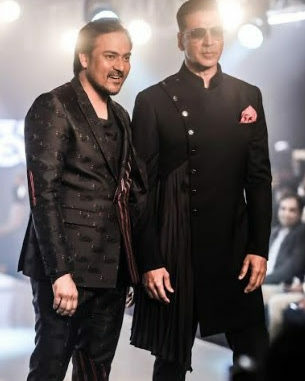 “We are extremely delighted to have Mr. Akshay Kumar on board as our show stopper it could have not been better than this technology and fashion goes hand in hand we often use futuristic fabrics, cutting edge tech in our creations and this is a perfect platform to showcase it.” said Designer Lalit Dalmia. TFT Season 4 treated Fashion and Tech enthusiasts with the most glamorous evening of the year.